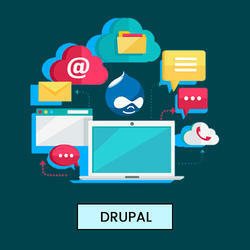 Drupal a free and open-source content-management framework written in PHP and distributed under the GNU General Public License, provides a back-end framework for at least 2.2% of all Web sites worldwide- ranging from personal blogs to corporate, political, and government sites. Systems also use Drupal for knowledge management and for business collaboration. Planning Drupal Development Know a few things. We customize Tshirts, Hoodies, Caps, and all other products which help in branding of your company or event. This SugarCRM based plugin is ideal for entrepreneurs to create survey templates for conducting several surveys for their own business surveys to understand the customers’ needs in the form of feedback. Drupal is amongst the widest used frameworks ever created, it scales from personal blogs up to full enterprise applications and has thousands of add-ons. 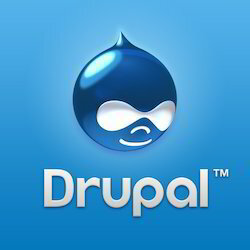 As an open source solution Drupal is being favored more and more by large organizations such as The Economist. Did you know that ...Drupal is one of the most popular free and open source Content Management System (CMS) built with the use of PHP (programming language). It has been used in creating many types of websites, be it personal blogs or big political and corporate web portals. Being the best web design company in Jaipur we out in a lot of energy and effort to design unique layouts and themes for each of our sites. One of the things that attracted us to drupal web design and development was its flexibility to allow us to create almost any design our client required. Drupal is one of the most competitive CMS(content management system) that powers millions of applications and websites worldwide. From personal blogs to enterprise application, Drupal provides you with the freedom, flexibility, robustness and the scalability you are looking for to develop your application.